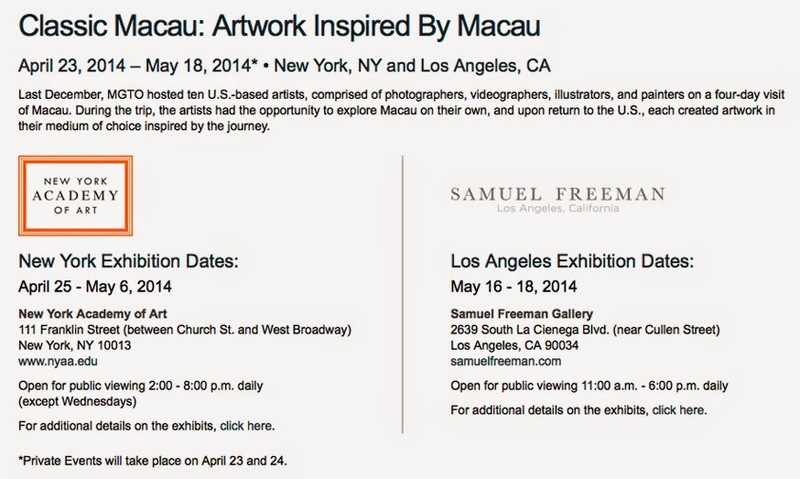 I’m excited to be part of a group exhibition, Classic Macau, which opens Friday at the New York Academy of Art. Last December the Macau Government Tourist Office invited 10 U.S.-based artists including photographers, painters, illustrators and videographers to spend several days in Macau, China to capture their impressions of this unique destination. Classic Macau will be up at NYAA’s Wilkinson Gallery in Tribeca from April 25th through May 6th. After its New York run the exhibition will travel to Los Angeles where you can see it at the Samuel L. Freeman Gallery from May 16 – 18. If you are in New York or Los Angeles during these dates stop by if you get the chance. You can read more about the exhibition here.